Luxe metallic finishes continue to be on-trend in interior design. 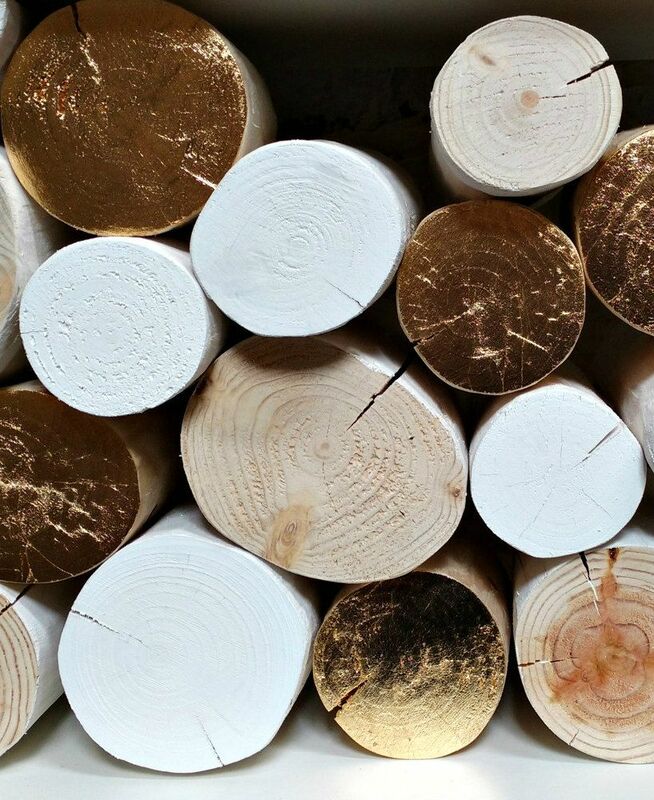 Decadent and luxurious, these logs have been gilded with GOLD LEAF. Applied to one end grain of each log, we have remained sympathetic to the wood grain beneath. 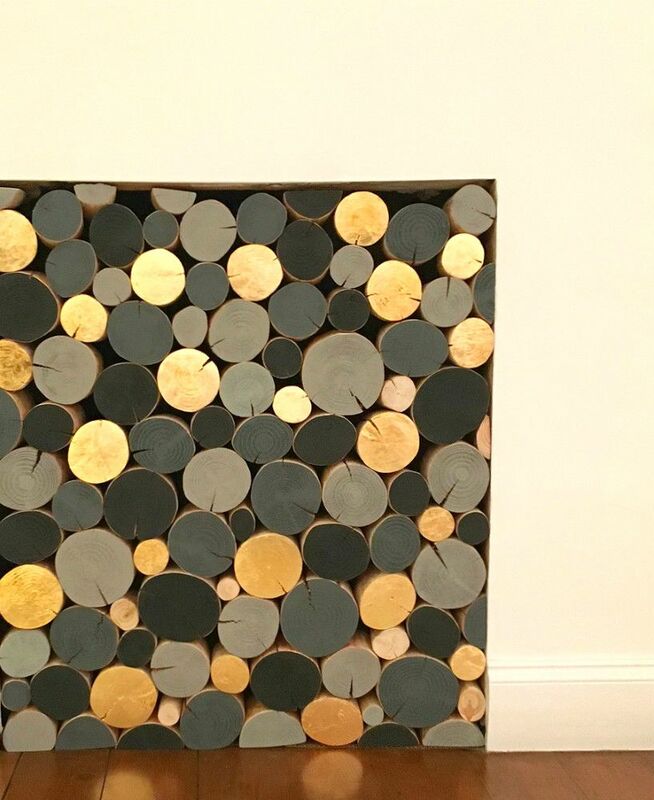 These sumptuous golden logs are perfect for stacking amongst the dramatic palettes of our Colour Mix log bundles - try monochrome REVOLUTION; they would also add a wonderful glimmer to an installation of SCANDI-STYLE Logs (image 1). Lustrous and shimmering, they complement both dark (image 3, shown stacked with our BLACKENED logs) and light/white shades to perfection. PLEASE NOTE: Unlike our regular log bundles, these luxurious GOLD LEAF logs are sold in bales of SIX whole logs. Diameters average 7cm. Ideal for interspersing amongst other log styles as an accent feature. These logs are available in both 10cm and 20cm log lengths. We also offer alternative options: gilded SILVER LEAF Accent logs or Metallic Lustre Logs in either COPPER, GOLD or SILVER.